Talk about heartbreak, sorrow, misery, and grief — all those things are woven through the fabric of our Lord’s family tree. Can you feel their grief behind these words? The grief of Abraham leaving all he had known to go to a land where he had never been. The grief of letting go of his firstborn, Ishmael, whom he loved. And what about King David? He had a son who died in infancy because of David’s own sin. His son Absalom killed his brother Amnon, and if that were not enough to break a father’s heart, Absalom led a revolt against his own dad. But all these names in Christ’s family tree don’t hold a candle to grief this Christmas season. Jesus understands the grief in His ancestors and His descendants. Perhaps your own heart is heavy. Perhaps you have been misunderstood. Jesus was. He says, “I understand.” Perhaps you are lonely. Jesus says, “I know the loneliness of Gethsemane’s garden.” He will bear your griefs and carry your sorrows… if you will let Him. The month of December holds more grief than any other. In the midst of all the tinsel and trappings, loneliness haunts so many. More suicides are attempted in this month than any other. 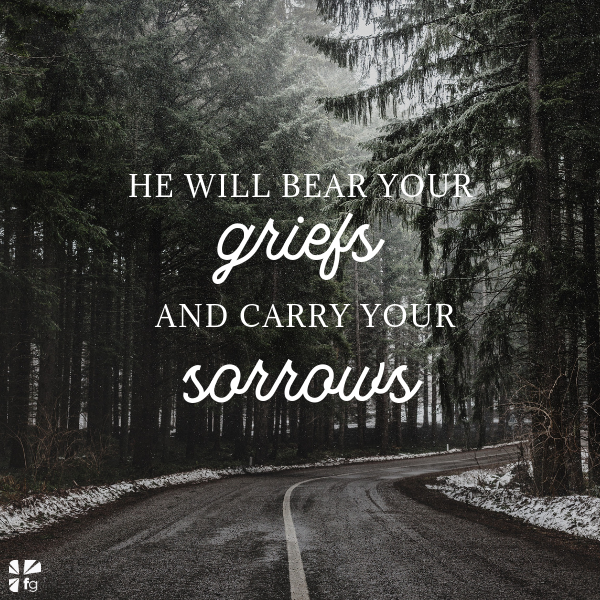 Jesus understands your grief. Behind the lives of all these men and women in His family tree, we see grief, but they made it… and so can you. Lord, thank You for bearing my grief and carrying my sorrows. I am leaning on You. In Jesus’ name, amen. Excerpted with permission from The Christmas Code by O. S. Hawkins, copyright O. S. Hawkins. For more than 20 years, O. S. Hawkins served pastorates at the First Baptist Church in Fort Lauderdale, Florida, and in Dallas, Texas. He is president of GuideStone Financial Resources, which serves 200,000 pastors, church staff, missionaries, doctors, and other workers of various Christian organizations with their retirement needs. He is the author of more than 25 books and preaches regularly at Bible conferences, evangelism conferences, and churches across the nation.